Long time, no talk! I feel like each time I take a break from blogging (which has been a lot lately! sorry!) that my first post back is always me explaining how busy I am and why I haven't been posting. I'm not going to do that this time. No excuses, just lots of nail polish swatches here! 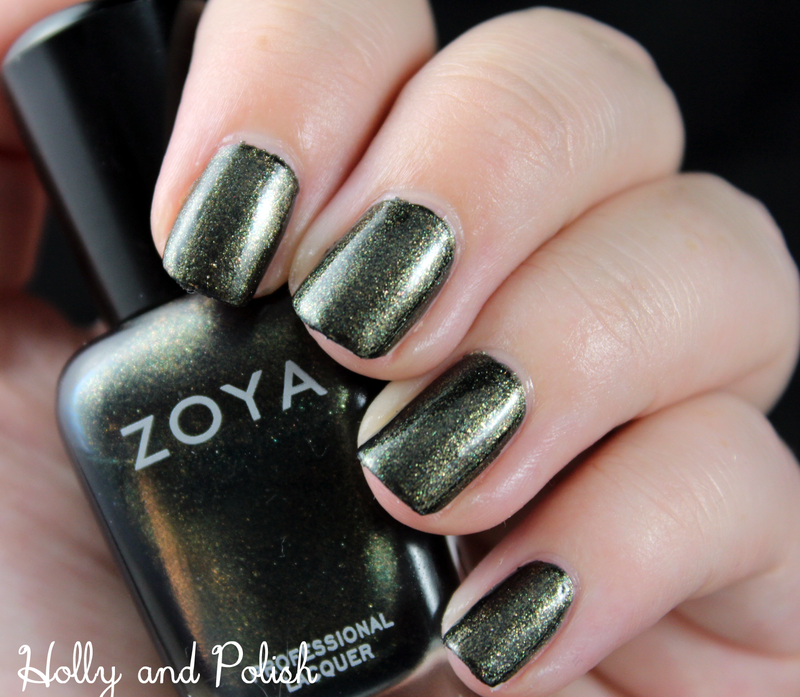 Today, I have some swatches of Zoya's Edyta to share with you all. 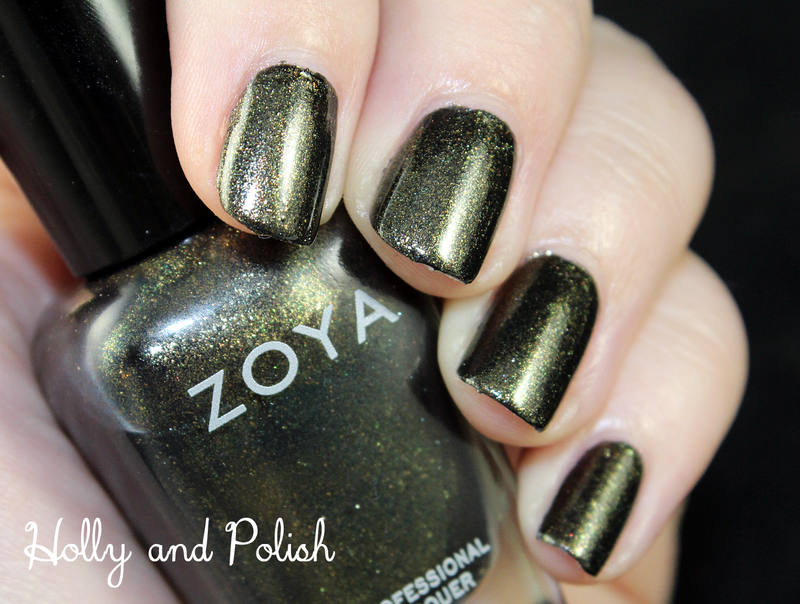 Edyta is a deep olive green with a gold, blue and green micro-shimmer. This polish is gorgeous! The green shade is very dark and can almost look black in some lighting, which really makes the shimmer pop. (Perfect for fall!) This covered well and was extremely easy to work with. I used two coats! Since this polish has so much shimmer, it is a little messy to take off. If you're familiar with the foil method to remove glitter polishes, I would definitely recommend that you do that with this one!